Snowriders Australia proudly partners with some of Australia’s and Japan’s most trusted snow industry providers. Thanks to the generosity of our partners, and by subscribing to Snowriders Australia, you’ll receive awesome member benefits including discounts on retail and/or hire products, when you visit them on-line or at their nearest bricks-and-mortar location. Subscribing to Snowriders Australia is easy. If you haven’t already subscribed by clicking on the ‘pop-up’ form on your arrival, simply click on the subscribe button on the top left hand side (on a desktop computer), or if you are on a tablet or mobile device, scroll to the bottom of the page and do the same. 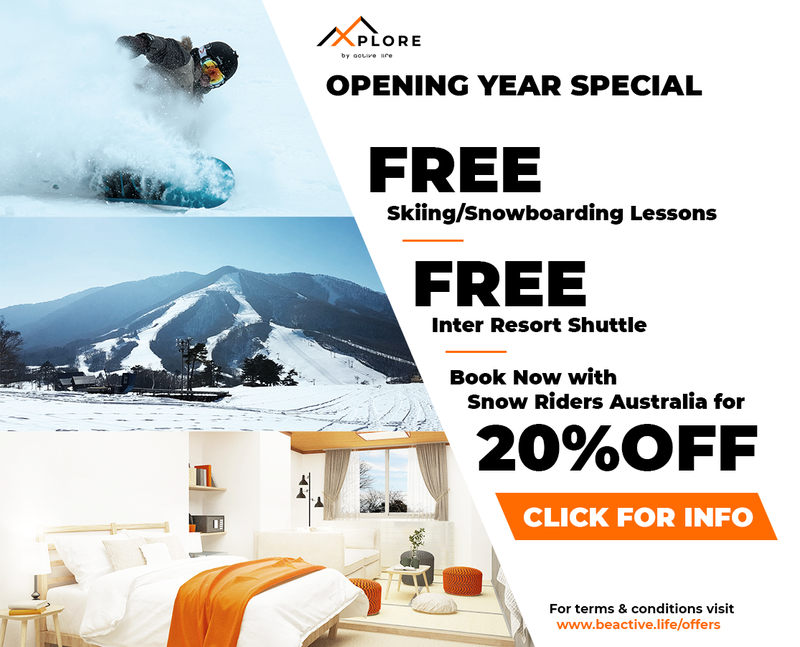 To redeem you benefits, simply print out OR screen-grab your confirmation email (Snowriders Australia will send you an email when you subscribe) and take it with you next time you visit your nearest participating retailer. Easy! Check out the specifics below. Mainpeak Australia is a Western Australian based, family-owned and operated retailer of premium outdoor adventure equipment. They have three shops in Perth, a killer online store and a freaky knowledgeable team of outdoor obsessed gear junkies. Subscribers receive a FREE Mainpeak Club membership. Simply sign up to Snowriders Australia, and Mainpeak will waive the $10 membership fee. As a Mainpeak Club member, you’ll receive a 10% DISCOUNT off the normal retail price for most stocked items*, but check out the fine print here. To redeem your free membership, simply print out or screen grab your subscription confirmation email and present it next time you visit your nearest Mainpeak store. Based in Japan, Rhythm is a ski and snowboard retail and rental company that takes pride in offering customers excellent service along with the latest in quality snow sports equipment. Subscribers to Snowriders Australia receive a 10% DISCOUNT off on-line hire purchases at Rhythm’s Niseko or Hakuba outlets, or a 15% DISCOUNT if you book before the 31 July 2017. To redeem your benefit, go to Rhythm’s website and enter the Coupon Code visible in your subscription confirmation email. Otherwise contact us and we’ll send you the code. Active Life owns two hotels in Madarao, a beautiful little resort nestled between historic Nozawa Onsen Ski Resort and the popular Myoko Kogen: Active Life and Hakken. As a special offer, subscribers to Snowriders Australia receive a 10% DISCOUNT on their accommodation at Hakken. In 2017/18, Active Life plan to run a free shuttle bus between Madarao and Nozawa. To redeem your benefit, go to the Hakken website and enter the Promo Code in your subscription confirmation email. Otherwise contact us and we’ll send you the code. Based in Canberra, ACT, Straight Line Ski & Scuba is an outdoor equipment store specialising in ski, snowboard, scuba diving, spearfishing, scooters and inline skating. Straight Line has been looking after ACT-based ski racers for years and we are proud to welcome them to the Snowriders Australia team. Subscribers to Snowriders Australia receive a 10% DISCOUNT on all hire and retail purchases when they shop in the Strait Line Ski & Scuba store in Fyshwick. To redeem your benefit, simply print out or screen grab your subscription confirmation email and present it next time you visit the Straight Line store. 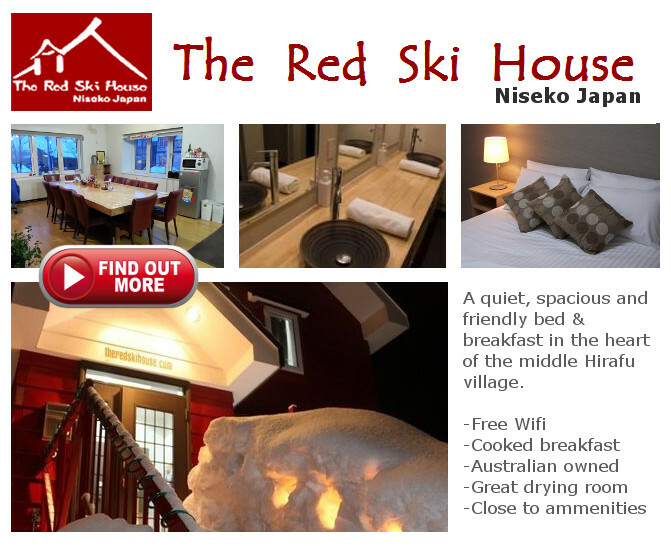 The Red Ski House is a family run bed and breakfast with the aim of providing comfortable western style accommodation within a friendly, relaxed atmosphere in the powder heaven of Niseko, Japan.The crew at Snowriders WA love the RSH, where we have enjoyed multiple stays over the last 4-5 years. Hosts Andrew and Kaori bend over backwards to make your stay as comfortable as possible. With affordable rates, a great communal atmosphere and great drying room facilities, the Red Ski House is our accommodation of choice. Contact us for more information. The Adventure Project (TAP) offer fully guided ski and snowboard tours to a range of exotic destinations around the world, including India, Japan and now Chile. TAP offer fully guided tours with a strong focus on safety. TAP cater to advanced to expert riders and provide comprehensive avalanche training. Contact us for more information. In Clinic Physiotherapy: Based in Mosman Park, Western Australia, James and his team offer specialist pre- and post-skiing physiotherapy services. As an avid snowsports enthusiast, James understands that skiing injuries require specialist knowledge and specialist therapy. In Clinic Physiotherapy has also teamed up with a local orthopaedic surgeon, offering both surgical and after surgery support for all forms of skiing and snowboarding injuries. Contact James at inclinicphysio@gmail.com or click on the image above for for information. And tell him we sent you.